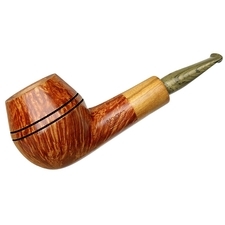 Where to start with this Castello bent Egg? 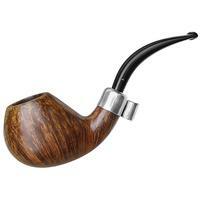 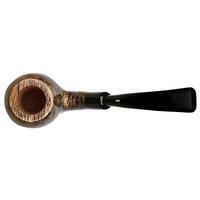 Its deeply bent shank and stem combination afford an easy, jaw-hanging posture, yet the affably plump bowl delights in hand while the flattened heel ensures a sturdy sitting capability when need arises. 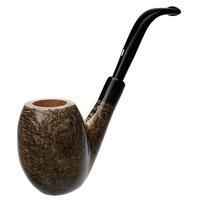 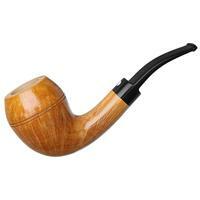 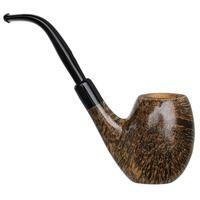 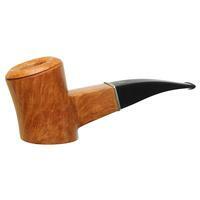 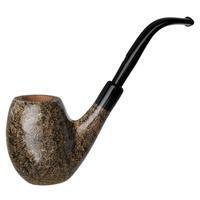 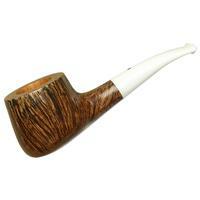 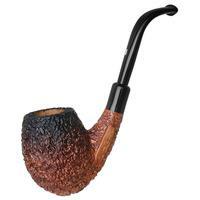 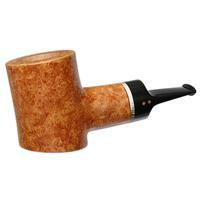 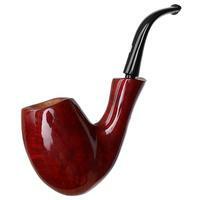 All of these aspects make this one fine pipe already; however, it's the grain that takes the cake here in my opinion. 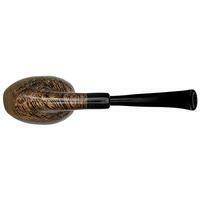 As is required of pieces within the Occhio di Pernice line, this number boasts a wealth of birdseye along each flank brought out vividly by a smoky contrast stain. 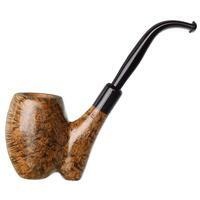 Lovers of Castello's shaping and fans of birdseye, this is the perfect piece.